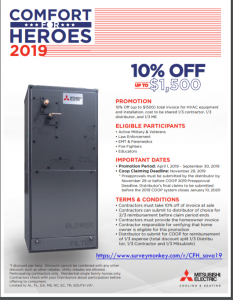 Mack Morris Heating & Air Conditioning is proud to announce that we’ve teamed up with Mitsubishi to honor our hometown heroes! We are happy to support and honor our local heroes! For more details about this promotion, be sure to contact our team today!